Aaron Bass is a founding partner of Silver, Bass, Brams & Daniels, P.A. He grew up in Sunrise, Florida, and focuses his practice in the areas of homeowners insurance disputes, personal injury and workers compensation. 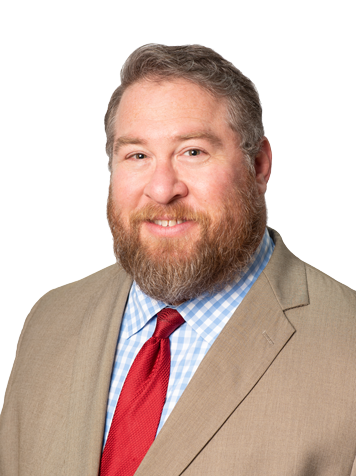 Aaron has handled thousands of legal matters – from pre-litigation to jury and bench trials and appeals – from Key West to Pensacola. He is certified by the State of Florida to teach continuing education classes to insurance company adjusters and public adjusters, and has taught and lectured on jurisprudence at the university level all over the world. Aaron earned his Juris Doctor at Nova Southeastern University, where he concentrated in the area of trial advocacy and was a recipient of a Public Interest Law Fellowship. Before law school, Aaron received his Bachelor of Science degree, with honors, from the University of Florida, with a major in Journalism and a minor in Religious Studies. During his undergraduate work, Aaron was an investigative reporter for “The Independent Florida Alligator,” the largest independent student run newspaper in the United States. Aaron is licensed to practice law in all Florida state courts and the United States District Court for the Southern District of Florida.